As all of you know, the Ministry of Home Affairs has recently released the notification for recruitment of ACIO Assistant Central Intelligence Officer (GradeII/Executive) in Intelligence Bureau (IB) 2017. Many of qmaths followers want us to provided previous year papers of ACIO to understand the level and pattern of real exam. These papers will not only help you in understanding the pattern of the upcoming IB ACIO 2017 exam but also will help you as the model practice tests. 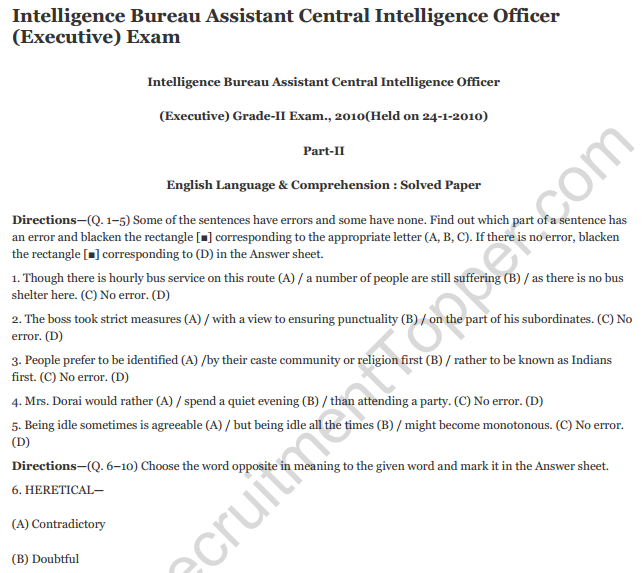 In this post we are sharing previous year question papers of ACIO in Intelligence Bureau in PDF form.